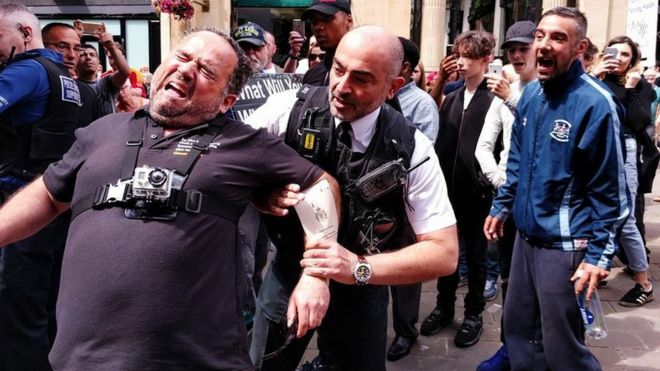 "Two street preachers have been convicted of public order offences, after a public prosecutor claimed that quoting parts of the King James Bible in the context of modern British society "must be considered to be abusive and is a criminal matter". "The prosecutor had argued that free speech must yield to multicultural reality in modern Britain, and that there was a clear threat to violence due to the words of the preachers and the criticism of Islam. "Michael Overd and Michael Stockwell were convicted today (28 FEB) at Bristol Magistrates' Court. On Friday (25 FEB) the court dismissed the case against a third man, Adrian Clark, ruling that there was no case to answer. "To say to someone that Jesus is the only God is not a matter of truth. To the extent that they are saying that the only way to God is through Jesus, that cannot be a truth." The men were found guilty under Section 31 of the Crime and Disorder Act 1998, for using "threatening or abusive words or behaviour or disorderly behaviour within the hearing or sight of a person likely to be caused harassment, alarm or distress, thereby, and the offence was religiously aggravated." 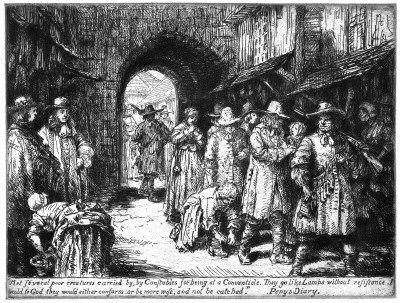 Quakers under arrest, Alnwick Quakers. Stating your (Christian) religious belief in public in England is now (apparently) a crime! This ridiculous, dangerous and unconstitutional decision has been made by Bristol Magistrates Court. Perhaps the Magistrates, Police and Prosecutors would benefit from a crash course on Locke who was born not far away 385 years ago when religion and the state was a far bigger issue than it is today. He asserted that the civil authority had no business interfering in the area of religious belief unless it had direct impact on the security of the state; and vice versa. Further that belief and the expression of it was a basic freedom that should be protected by the state and not be criminalised. 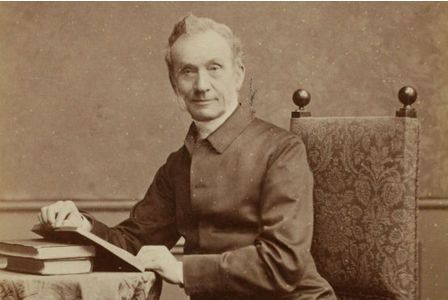 We associate the persecution of religious believers and proselytisers with totalitarian and repressive states, not a liberal and tolerant Britain, that many would argue, has been created in large measure, by Protestant Christian belief and practice over the centuries. Significantly they were prosecuted under Section 31 of the Crime and Disorder Act 1998 not because anything they said or did encouraged crime and disorder, but simply because they asserted long held basic Christian dogma, that others might disagree with and be upset by. 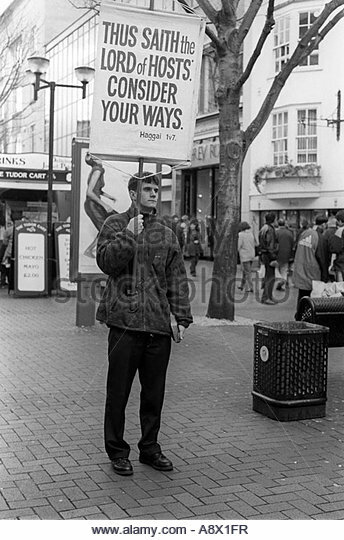 The offending assertion was a quote by Jesus himself, stating "I am the way, the truth and the light. No man comes to the father but by me." It has been a foundational principle of the Christian faith for two thousand years but apparently it is no longer legal. In fact, in this multi-cultural society, it is a crime to assert it publicly. We must therefore assume that on the basis of equality, it is illegal to assert any religious view publicly - or indeed any view at all if someone can claim they are upset by it! Does the same principle apply if the statement is made in a church, a chapel or a tent? If HM the Queen were present when it was claimed, would she and the congregation now be complicit in a crime? The defence lawyer, Michael Phillips rather summed it up when he said: "This prosecution is nothing more than a modern-day heresy trial – dressed up under the public order act." It also drives a coach and horses through the principle that Christians - or indeed other faiths - are permitted to evangelise in public. By definition others will disagree and are equally free to do so. Neither side may use it as an excuse for abuse or violence for which there are clear remedies. Preachers of this sort have always attracted ridicule and debate - it comes with the territory. It is seldom successful in its objective but this does not negate its purpose or legality and it would be a fundamentally different country if free speech in public was criminalised. In fact it is not difficult to envisage very ominous overtones. True Christian belief is a humanising and civilising influence. Indeed Bristol has had a high profile in this area with Quakers, Methodists and other non-conformists having had a major social impact locally and further afield. Such preachers as John Wesley and George Whitefield preached to huge open air crowds with largely beneficial consequences. 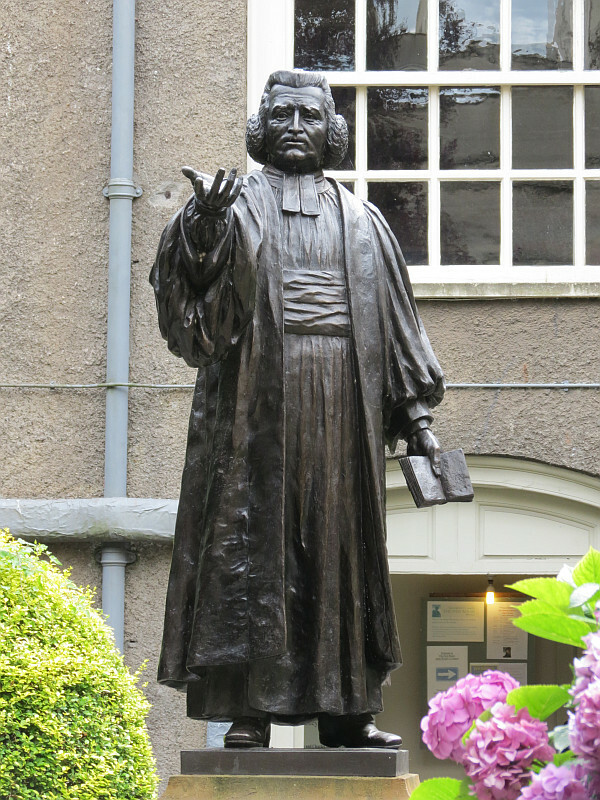 Bristol was also an important area for Quakers and Plymouth Brethren who undertook open air preaching. Ironically it now appears it is Bristol that has set this backward and dangerous precedent, contrary to all British constitutional and historical principles. Will it be appealed? Will the conviction be upheld? Whatever happens, the ramifications go far beyond two rather perhaps naive individuals holding forth in Broadmead. 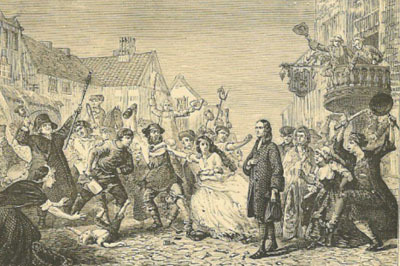 Some might infer it is yet another indication that Britain has jettisoned its Christian past, with its guiding moral principles, for something far less certain and destructive, in fact a lawless society where all or anything goes, rather reminiscent of the crowds to whom Wesley and Whitefield preached, but worse. ‘By how gentle degrees does God prepare us for his will! Two years ago a piece of brick grazed my shoulders. I agree Mark. I have not heard him and the average person is often upset by provocative public speaking and respond accordingly. You would expect Christians if real, would be sensitive to the feelings and sensitivities of others. On the other hand the ability to speak publicly and freely is an important right as is the right to peacefully ignore or disagree with it. This has been an established constitutional rule for generations and I worry when heavy handed policing intervenes to close it down. Worse when an English court holds that the words of Jesus must be regarded as 'untruthful' and a crime. Perhaps its worth remembering that Jesus got crucified for speaking in public, a situation that I thought we might have learned from! I believe people should be allowed to believe or not believe, what they want and speak publicly about it, as long as it does not promote hatred of others or violence. I realise there may be a fine line between the two. Britain is in a post-Christian era and this incident may illustrate it, but I'm not sure this is a good development. What will we have to replace it?